Asylum seekers attempting to reach Australia by boat could be detained in Cambodia, after a deal was struck yesterday between the two nations. Australia, which already has similar agreements with Papua New Guinea and Nauru, seems to prefer outsourcing the processing of asylum seekers to impoverished neighbouring countries than process them in Australia. Human rights organisations have been critical of the treatment of Australia’s asylum seekers offshore, where the resources to provide their basic needs are scarce. The United Nations has agreed to support this plan, despite its previous criticism of Australia’s border patrol policies which some human rights activist claim are in breach of international law. Last year the UN Human Rights Commission produced an shocking report on the Nauru Regional Processing Centre, documenting unsafe and inhumane living conditions, as well as a lack of adequate or timely solutions for their processing. At that time, 700 people were detained on Nauru, including pregnant women and children, many of whom were housed in tents. This continues to be the living situation there. 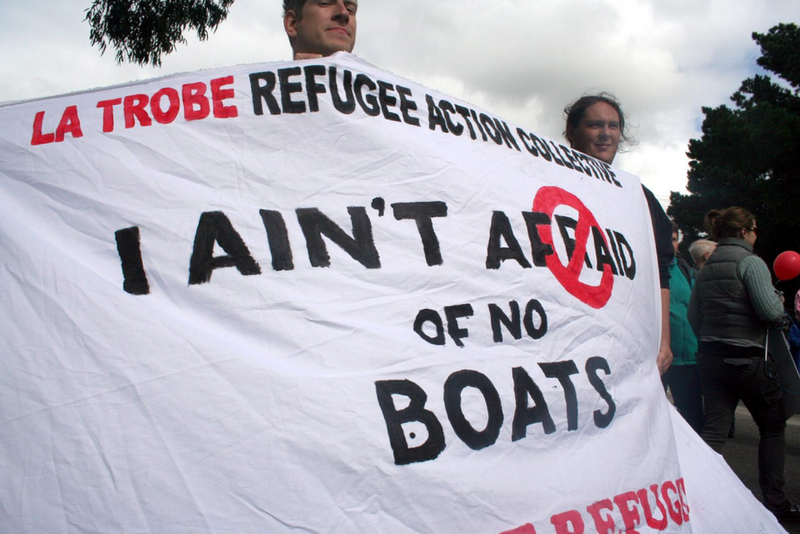 Although the number of asylum seekers attempting to reach Australia by boat pales in comparison to other groups around the world, this is a polarising issue in Australia where, last year, a new government came to power with its campaign promising to „stop the boats“.